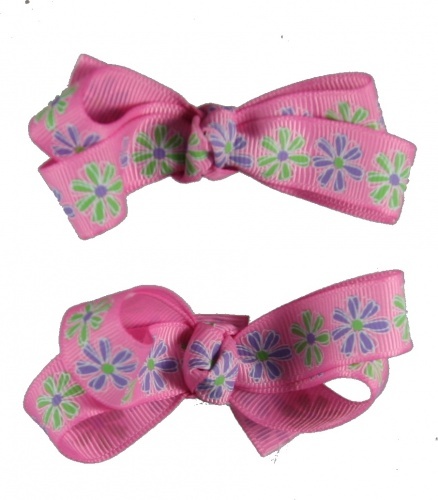 Double the fun with these two great pink with flower bows that will be great for her piggy tails! This is a pink grosgrain ribbon that has lime green and purple flowers in a line on this bow. The center is wrapped into a French knot with the same ribbon and both bows have lined alligator clips attached. These two matching bows are too cute and will look great in her hair.